The full-load current at a given voltage indicated on the nameplate is normative for setting the overload relay. Because of the variable voltages around the world, motors for pumps are made to be used at both 50 Hz and 60 Hz in a wide voltage range. Therefore, a current range is indicated on the motor’s nameplate. The exact current capacity can be calculated when we know the voltage. The values for the full-load current correspond to the permissible full-load current of the motor at 254 ∆/440 Y V, 60 Hz. Rule-of-thumb: The external motor overload relay is always set to the nominal current shown on the nameplate. However if motors are designed with a service factor, which is then shown on the nameplate eg. 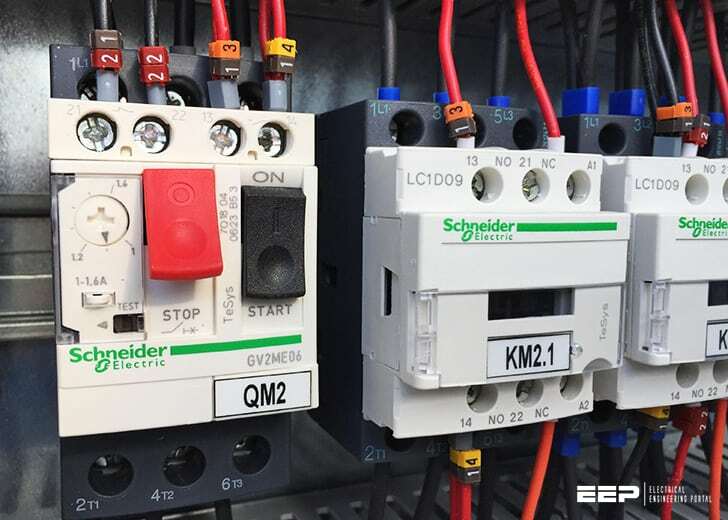 1.15, the set current for the overload relay can be raised by 15% compared to full-load current or to the service factor amps (SFA) which is normally indicated on the nameplate. If the motor is connected in star = 440 V 60 Hz the overload relay then has to be set to 3.1 A. Good explanation . Need specific value of current at which relay should trip the motor with 440V Y and 3.1A setting. Thank you for a good explanation. I have a couple of people I work with that believe if you have a fast acting overtemp relay, you dont need overloads. If it gets hot, it’s overloaded. Not very fast enough for lost phases or locked rotors. I am not sure if it’s even legal as the standard calls for overload fitted to motors over 370w. Has anyone here got a correct answer? Normally the Fast Acting O.T.R. have an embedded sensor(s) in the motor armature coils, suppose for some reasons these sensors are no more working, then your motor is not protected at all. It’s preferable to use the usual Over Load protection mean as the “Main Protection One” and the F.A.O.T.R. as a “Backup”, in this case you realize a complete protection of your motor against the overload events.